How do you conduct yourself in an interview? 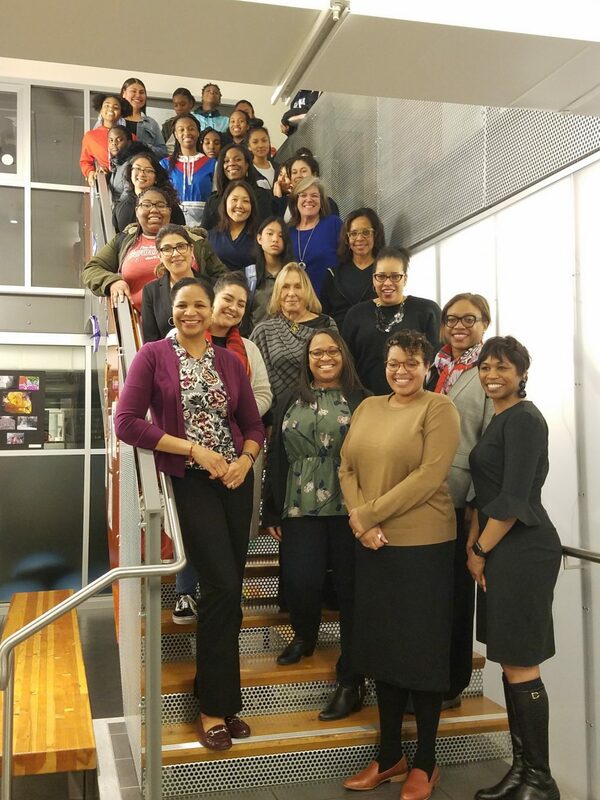 This month Girls Inc. hosted our 5th annual Mock Interviews where girls answered that question and practiced interviewing skills. A key component of the Eureka! Internship Program, mock interviews prepare 9th and 10th grade girls to present themselves as confident and professional young women. They will use these skills as they interview for their summer internships. Girls Inc. Women of Impact participated as the interviewers. As seasoned professionals in different industries, Women of Impact bring a wealth of experience to our girls, and act as positive role models. With questions ranging from “Give me an example of a time when you motivated others?”, to the open ended “Tell me about yourself”, girls practiced how to speak succinctly and clearly, and to articulate both challenges they faced and how they resolved their issues. To learn more about Women of Impact and how to get involved, click here. 2019 Summer Internships Hosts Needed! We are looking for organizations to host an intern from Girls Inc. of Alameda County. Organizations host girls for 4 weeks in the summer and have them on site Mondays, Tuesdays, and Wednesdays. Interns are girls in the 10th and 11th grades who have completed at least two years of Eureka!, as well as job skills training. Our girls are smart, engaged, and ready to learn! For information about the program, including what types of opportunities are most in demand, and how an organization participates, please click here or reach out to Joahna Cervantes, Eureka! Internship Coordinator, at jcervantes@girlsinc-alameda.org, or (510) 357-5515 ext 242. Spots are filling fast, so we hope you’ll partner with us in this critical component to girls growing up strong, smart, and bold!